Jay began his martial arts career studying Karate at the age of 5. After Karate, he studied Muay Thai and Jeet Kune Do for three years. Jay spent five years studying Shaolin Chin-Na under Yang Jwing Ming. Jay has studied Judo since 1996, receiving his black belt in 2002. Jay found Amal Easton in 1998 (Amal is a Renzo Gracie black belt, and one of the few Americans to have direct ties to the famous Gracie Barra in Rio de Janeiro Brazil). Jay has been personally devoted to Brazilian Jiu-Jitsu and Vale Tudo ever since. Jay received his black belt in Jiu-Jitsu from Amal in 2006, making him Amal's first black belt recipient. 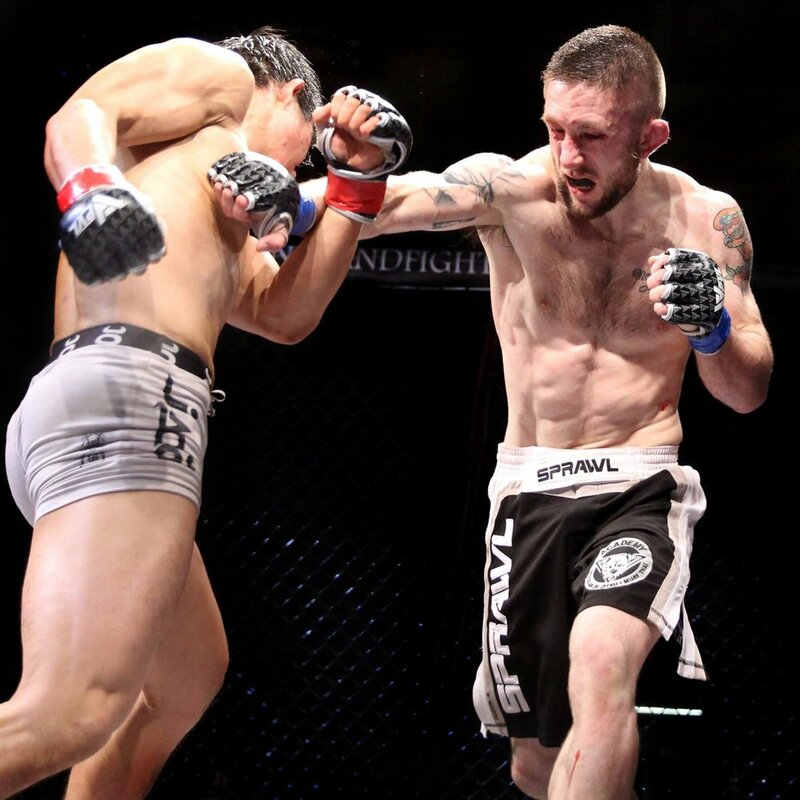 Jay has fought and won in numerous MMA organizations including Ring of Fire, Gladiator Challenge, and the USWF. Jay has been instructing martial arts of various disciplines since 1992 and has produced many decorated athletes, and programs. Mandy started Brazilian Jiu-Jitsu in 2001 under Amal Easton and Jay Jack. She quickly developed a love for MMA and fought professionally from 2002 until 2008. She and Jay moved to Maine and opened The Academy in 2003 where she has focused on coaching the Academys competitors in both MMA and BJJ. She received her black belt from Amal Easton in 2009. Mandy has fought and won in numerous competitions including the Rocky Mountain Slammer, Ultimate Athlete, Grapplers Quest, and the Extreme Challenge. Paul began his martial arts training with The Academy in October of 2003. He holds the rank of Black Belt in Brazilian Jiu Jitsu, and is proud to have been the first to be awarded that rank under Jay Jack and Amanda Buckner. He is a veteran of over 20 MMA fights, and also enjoys competing in grappling tournaments and triathlons. He believes that martial arts can be a vehicle to improve all aspects of one's life, and is a passionate and enthusiastic instructor. Shaun has been involved with sports and athletics his entire life. During his high school career, he played football in Texas. After high school, Shaun moved back to Maine and played rugby with the Portland Rugby Club for a few years. In 2004, Shaun met Jay Jack and started training in Jiu Jitsu at The Academy with Jay and his wife, Amanda Buckner. Shaun earned his black belt under Jay Jack in July 2015, after years of training, coaching, and tournaments where he continued to test himself through this sport. Over the past ten years, Shaun has competed in MMA, Muay Thai and Brazilian Jiu Jitsu at various levels. The last few years, he has focused on Sport Jiu Jitsu (grappling), and has traveled all over the country to compete with peers at his level, from around the world. Shaun’s favorite part of Jiu Jitsu, is teaching others, and he has been teaching kids and adults for the past 7 years at The Academy. Beau has been a student of Jay and Amanda since 2003, and earned his black belt in BJJ under them in 2016. Earlier in his career, Beau focused his training on competition, and has competed in both local competition, as well as the Worlds, and Pan American tournaments. However, after accumulating injuries, he shifted his focus into teaching. After an in-depth apprenticeship program lead by Jay Jack, Beau has now been teaching at the Academy, on a regular basis, for the past ten years. Teaching, and non-competitive training, is where his love and focus of BJJ now lies. Matt started training in Brazilian Jiu Jitsu back in 2007. He received his black belt under Jay Jack and Amanda Buckner in 2017. He has travelled to Brazil to train and further advance his understanding of the art. Eli Has been training both Jiu Jitsu and Muay Thai since 2009. In that time he has received brown belt and has earned 4 stripes from Jay Jack. He just retired from MMA fighting in 2018 with a professional record of 3 and 2. He is now focusing on teaching and more competitive Jiu Jitsu tournaments. Eli is a passionate teacher that has put himself in a profession to teach all the time. His day job is teaching a variety of people at Maine Medical Center, in phlebotomy. In his free time, when he is not training, You will find him on his bicycle exploring the woods or bike trails. In the Future he hopes to have a school of his own one day; To help create the next chapter of the art and inspire people to do what ever they want to do and then some. Cole is a Maine native and has been involved with traditional martial arts since 7 years old. 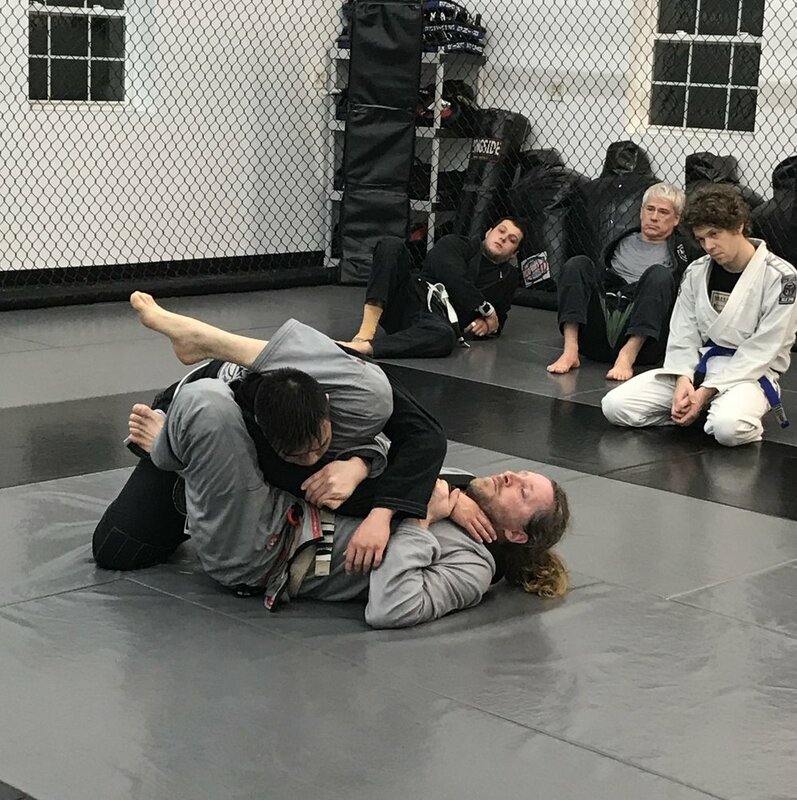 Cole’s first experience with Brazilian Jiu Jitsu was in the Army Combative program and After returning to Maine in 2007, Cole began his full time study of Jiu Jitsu under the tutelage of Jay Jack and Amanda Buckner at The Academy. Cole is a current brown belt. Cole has since traveled the country to train Jiu Jitsu with legends such as John Danaher, Renzo Gracie, and Marcelo Garcia. Cole focuses on teaching fundamentals with emphasis on details and concepts. Cole teaches noon classes and On-ramp program at The Academy. he is also a Registered Nurse, a husband, and a father. Brandon is a current Muay Thai Instructor and holds a blue belt in BJJ. Dan started training at the Academy in the spring of 2013. He mostly trains jiu jitsu but will take an occasional Muay Thai class when his schedule allows. He currently holds a blue belt in jiu jitsu and started teaching the On Ramp class about two years ago. When he is not in the gym, Most of his free time is spent hiking and fishing in the summer.